The Sunshine State plays host to “Knights,” an exhibition at The John and Mable Ringling Museum of Art, in Saratosa, Florida. 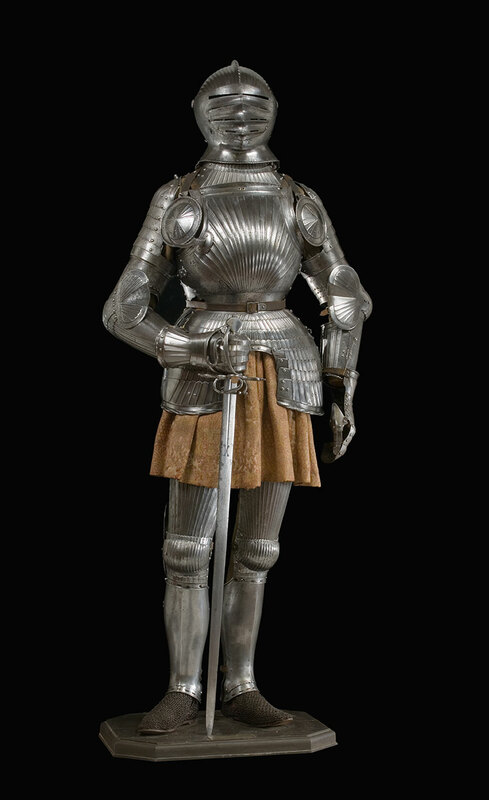 Some of Europe’s finest suits of armor and arms, on display until April 21, are from the prestigious Stibbert Museum collection in Florence, Italy. 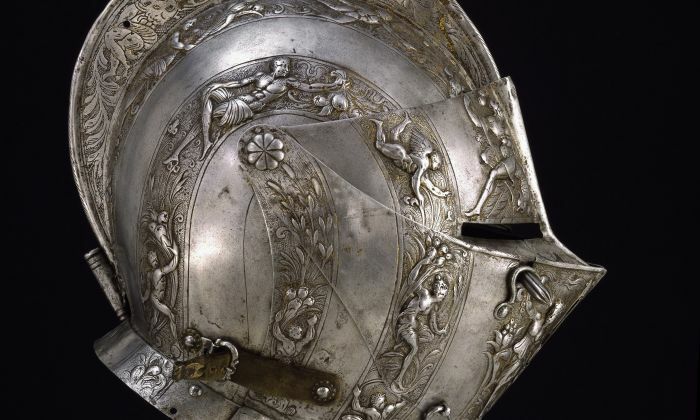 The exhibition addresses European knights of the Middle Ages through the Renaissance and the 19th-century medieval revival, in terms of their armor and arms history, function, and fine craftsmanship. The French favored embossing armor as a decorative technique. The close helmet shows allegorical figures and warriors intermingled with flowers and fruit. On inspection, one can see that the embossed steel strips glisten ever so slightly with gold patches where once-bright gilding has worn away. Such an exuberant and opulent design could only be afforded by someone with high social status and wealth. 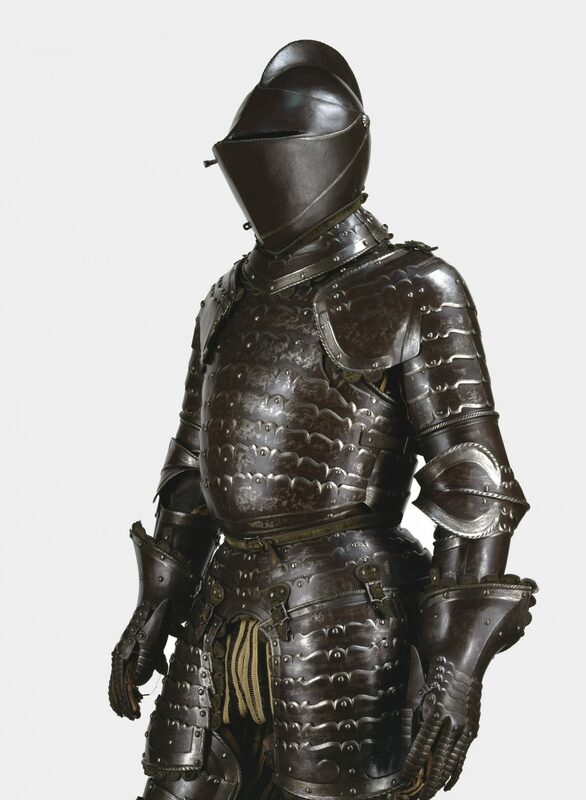 Simple and yet striking is a German suit of armor from 1500–1510 that seems to show pleats in line with the curvature of the body. The design is known as the “Maximilian” since the Holy Roman Emperor Maximilian I enjoyed the design. But the pleats are actually ridges and grooves elegantly shaped into the steel. Small shield-like pieces of steel with fan-shaped ridges, and discs with ridges that radiate from the center almost like the spokes of a wheel, can be seen on the armpits and elbows. These, perhaps, were to further protect the knight’s joints. 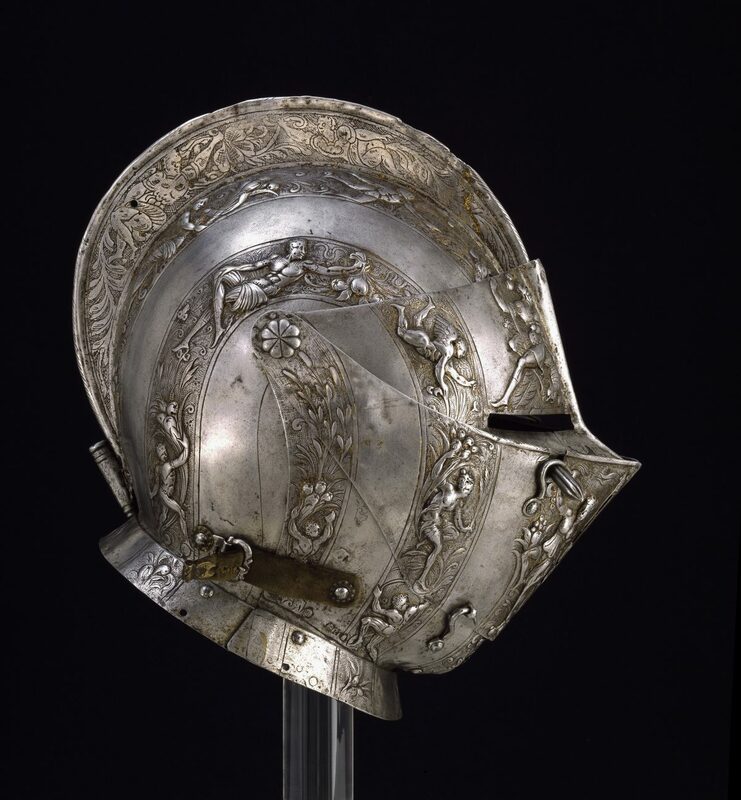 The Maximilian design fell from favor around 1525 when Italian influences for armor came into vogue. One stunning example of Italian armor from 1540–1550 is made up of lots of thin steel plates called lames, set in horizontal rows. At first glance, the lames appear to flex and adapt when a knight moves, a little like fish scales. But in this example, the scalloped edges are fixed to the bronze-edge surfaces, which incredibly restricted any movement for the wearer. The precursor to this design was a breastplate from the 1300s that was worn under a leather doublet (close-fitting jacket), although the lames were not fixed to the surface in the earlier design and, therefore, flexible. It was this 1300s breastplate that the bulletproof vest was based on. Our popular ideas of the chivalric world are off base, according to historian Richard Kaeuper.